In Britain, people typically switch their central heating on in October and use it daily until March or April. This coincides with the clocks going back, the drop in temperature and Winter Fuel Payments – to anyone who receives the state pension. Heating homes accounts for over 70% of household energy consumption. So reducing this figure – while keeping homes warm enough – not only cuts energy bills, but helps meet the carbon reduction commitments that the UK government is legally required to deliver. 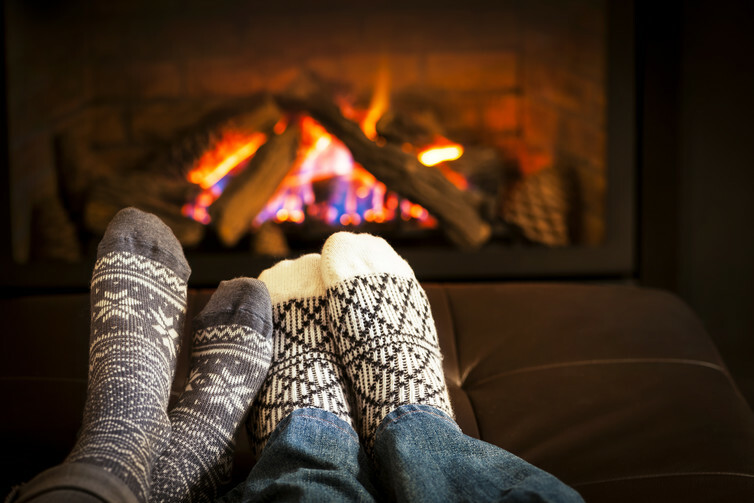 The most recent figures show that 2.38m households in the UK are in fuel poverty – which basically means that almost 11% of British homes cannot afford to keep warm. But while the scale of this problem is significant, not all the solutions need to be complex and costly. So here are 10 simple tips for keeping your home warm for little or no extra cost – just in time for that severe weather warning. Heat from the sun is free so make the most of it. Open your curtains and let the sunlight in during the day to make use of this free heat. When it gets dark, shut your curtains, which act as another layer of insulation and keep warmth in your rooms. You should also make sure you don’t have any leaks or gaps so that the warm air can stay in and the cold air stays out – this also helps to reduce condensation. The Centre for Sustainable Energy advises that programming your boiler to turn the heating on a little earlier – such as 30 minutes before you get up in the morning – but at a lower temperature is cheaper than turning it on just as you need it at a higher temperature. This is because a boiler heats up at a constant speed whether you set your thermostat to 20°C or 30°C. But don’t make the mistake of leaving your heating on low all day – because then you’re just paying for heat when you don’t need it. When it comes to heat, around 25% is lost through the roof. This can be easily reduced by installing 25cm of insulation throughout your loft. It’s also worth seeing what’s going on in your walls, as around a third of the heat in an uninsulated home is lost this way. Although it’s not as cheap to install as loft insulation, cavity wall insulation could save up to £160 a year in heating bills. It’s also worth checking with your energy supplier to see if they have any insulation schemes running – which can sometimes mean cheap or free installation. If you have a hot water tank, make sure it is properly lagged – or insulated. This will keep the water warmer for longer, and reduce heating costs. The Energy Community reckons that insulating an uninsulated water tank could save up to £150 a year – but even just upgrading your tank’s “old jacket” will help to save money.